Royals Attend Day Nine of the 2015 Wimbledon Lawn Tennis Championships. 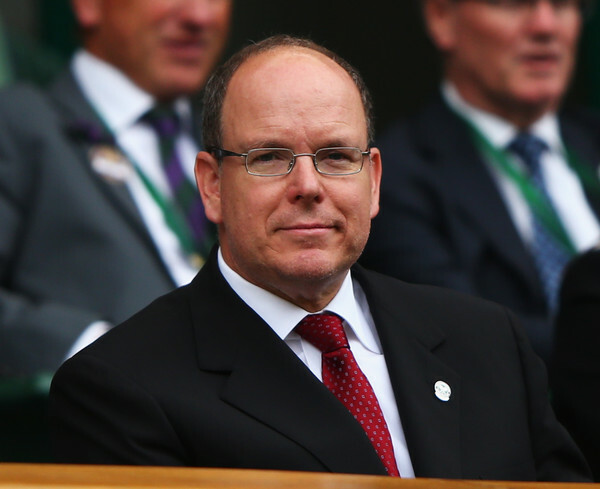 On Wednesday, July 8, 2015, His Serene Highness Prince Albert II of Monaco, Their Royal Highnesses The Duke and Duchess of Cambridge, and Her Royal Highness The Countess of Wessex attended the Gentlemens Singles Quarter Final match during day nine of the 2015 Wimbledon Lawn Tennis Championships held at the All England Lawn Tennis and Croquet Club in London. (VIDEO) His Majesty King Willem-Alexander of the Netherlands Opens a Cheese Factory. On Wednesday, July 8, 2015, His Majesty King Willem-Alexander of the Netherlands opened the cheese factory, Royal A-ware, and the Fonterra ingredients factory in Heerenveen.